The 17th annual Austin City Limits Music Festival has announced its 2018 lineup. The festival will take place on Oct. 5-7 and Oct. 12-14 at Austin’s Zilker Park, and performances will come from more than 125 bands across eight stages. Headlining this year’s festival will be Paul McCartney, Childish Gambino, Arctic Monkeys, Metallica, Travis Scott and Odesza. 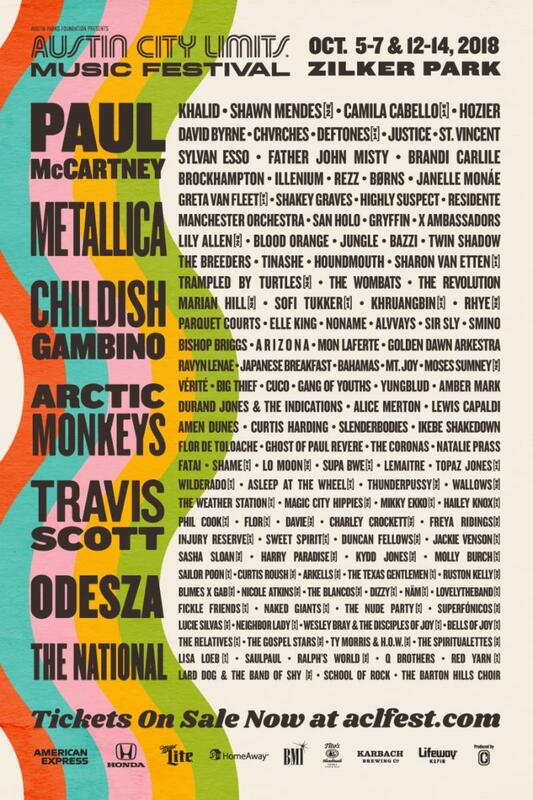 McCartney and Metallica will both be making their ACL Festival debuts, and it will be the two acts’ only North American festival appearances. 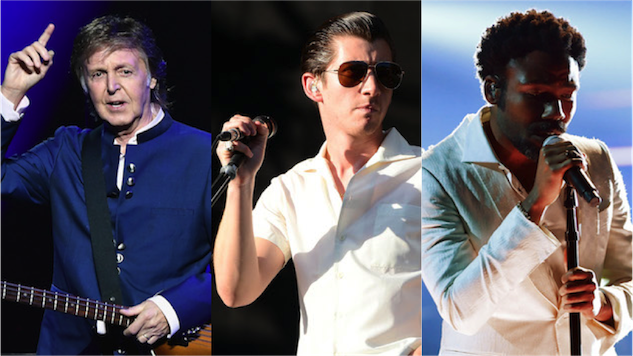 Arctic Monkeys will be promoting their highly anticipated sixth studio album Tranquility Base Hotel & Casino, out on May 11, while Childish Gambino has promised new material for 2018, saying his next album will be his last. Also making their ACL debuts are Texas native Travis Scott and electronic juggernauts Odesza. Other notable performers across the two weekends include St. Vincent, David Byrne, Janelle Monae, The National, CHVRCHES, Father John Misty, The Breeders, Brockhampton, Alvvays, Manchester Orchestra, The Wombats, Parquet Courts, Japanese Breakfast, Shame, Big Thief, Gang of Youths, Amen Dunes and many more. There will be some homegrown talent at the festival as well, including native Texans Shakey Graves, Molly Burch, Golden Dawn Arkestra and more. Fans who can’t make it to the festival in person can watch the official ACL Music Festival live broadcast on Red Bull TV, which is distributed digitally for free at redbull.tv, as well as ACLFestival.com. A full schedule of performances will be announced this summer on ACLFestival.com. Three-day general admission tickets, three-day VIP, platinum tickets and hotel packages are available now at www.aclfestival.com. Check out the full lineup poster below.